Out in the playground, in the dark side of town! 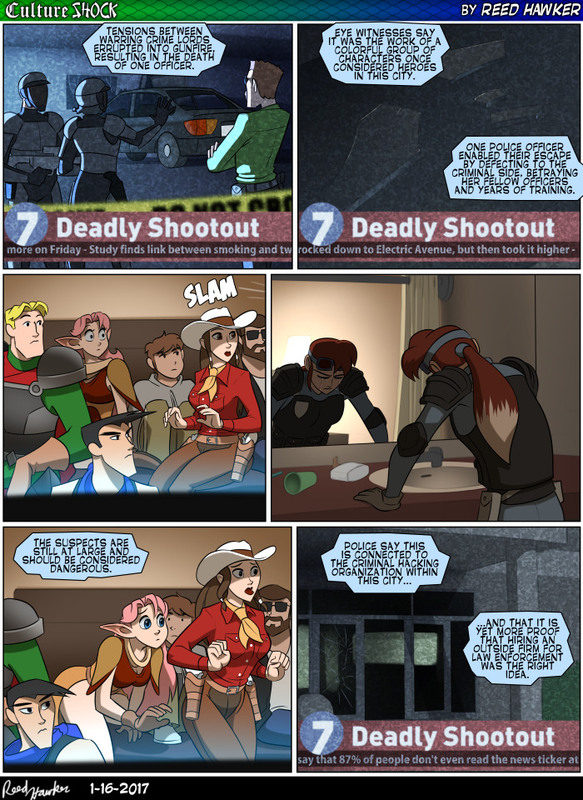 Deadly ‘shootout’? Who has even been killed by gunfire in the shootout? Also, the ticker at the bottom of the last panel is hilarious. Hilarious and correct. I probably would have missed that. I liked the ticker in panel 2, but then I’m old enough to recognize the song lyrics. That ticker made me laugh out loud, especially that second one!